FOR IMMEDIATE RELEASE June 28, 2018 Washington D.C. – Emgage Action is greatly disappointed by today’s Supreme Court 5-4 decision in favor of the Trump Administration’s Muslim Ban. This decision is, simply put, is a threat to religious liberty in our country and to our values of tolerance and freedom. 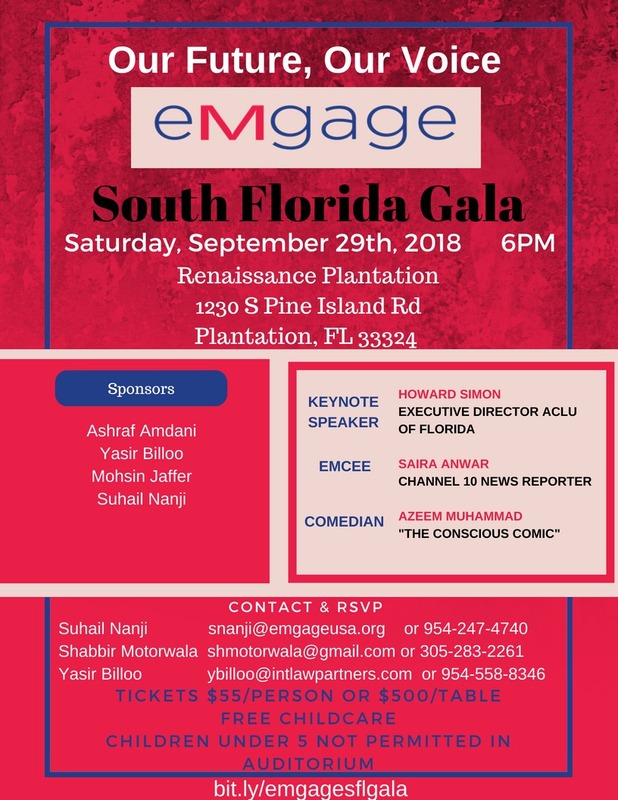 [PRESS RELEASE] Emgage Action to Host Annual Capitol Hill Day in Washington, D.C.
RSVP today to our upcoming gala in Florida!